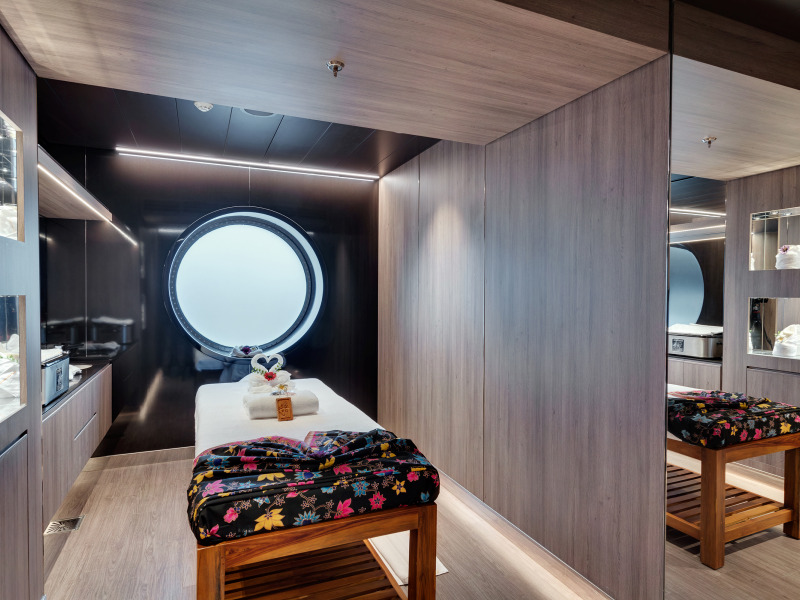 Geneva, Switzerland, 4th of April 2018 - MSC Cruises, the world’s largest privately-owned cruise line, has launched a signature collection of spa treatments, created with the LAJATICA vinotherapy products from Bocelli Wines. 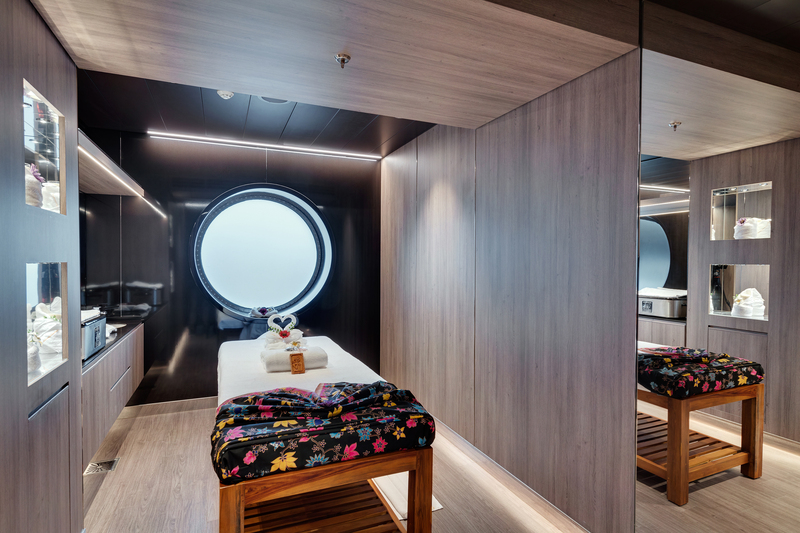 Exclusive to the MSC Aurea Spa, the treatments debuted on the Miami-based MSC Seaside, and will soon be introduced on MSC Cruises ships fleet-wide. Strengthened by the anti-aging and firming properties found in grapes, these luxurious facial and body treatments are made with natural extracts from the Bocelli family vineyards and blended with Tuscan plants and essential oils. MSC Cruises strives to enhance the onboard experience for guests in each of its partnerships in a way that reflects the Company’s Mediterranean heritage and family spirit. Bocelli Wines, like MSC Cruises, is a family-owned business sharing the same values of tradition, excellence and passion. The Bocelli family has been producing small-yield wine with a handmade artesian style for 180 years and its collection represents the very best of Italian wine. The vineyard is currently run by Alberto Bocelli, whose brother, the world-famous tenor Andrea Bocelli, has held a relationship with MSC Cruises since he performed at the christening of MSC Poesia in 2008. The vinotherapy cosmetic range, LAJATICA, is named for the Lajatico region in Tuscany where the Bocelli family has long-held its family estate and the grapes from the vineyard are a key ingredient. Throughout her life, Andrea’s grandmother, Andreina, was known to prepare a compote of red grapes and wild herbs which she used to hydrate her skin. Passed down through generations, this “beauty secret,” was considered to be the source of her youthful appearance, and in later years, these results would be supported with scientific findings. Known as “nature’s antioxidants,” grapes contain powerful compounds called polyphenols, which fight free radicals and stimulate the renewal of cells and collagen. The results are clear, with skin showing a more refined, youthful appearance. These polyphenols are up to 50 times stronger than vitamin E and 20 times stronger than vitamin C. Grapes also contain an abundance of vitamins and minerals including vitamins A, B1, C, E and K; in addition to magnesium, iron, potassium, calcium and phosphorus. MSC Cruises worked to create a series of unique treatments using the LAJATICA cosmetics range to offer guests the rich benefits of Italian grapes. MSC Aurea Spa guests will benefit from boosted circulation, reduced signs of ageing, improved digestion and brightened skin tone. The treatments come in many forms, from traditional massages using essential oils, to baths and peels, and are recommended for those wishing to counteract problems with skin elasticity and hydration, as well as to strengthen their blood vessels, thereby improving microcirculation. Eight different luxury, wine-based treatments have been developed exclusively for MSC Cruises using the LAJATICA beauty products and are designed for both men and women, which include three different body treatments, a luxurious Mediterranean Citrus Body Massage and four facials, one specifically designed for men. Vinotherapy is just one of the many varieties of treatment options in the MSC Aurea Spa’s top-to-toe beauty, wellness and pampering offering. Every ship in the MSC Cruises fleet features an authentic Balinese Spa with an unparalleled beauty offering at sea. The highly trained, specialised staff offer an extensive choice of services to help guests relax, refresh and rejuvenate. MSC Seaside features the largest MSC Aurea Spa to-date with the widest variety of facilities, including: the MSC Gym, outfitted with the latest equipment from TECHNOGYM™ (the world-leading company in wellness and fitness); a stylish hair salon from global hairstyling brand Jean Louis David; as well a state-of-the-art thermal area with a unique Snow Room and Salt Relax Area. With high quality, certified natural, raw ingredients, LAJATICA cosmetics are free from petroleum derivatives, silicones or parabens, and are never tested on animals. They contain a high concentration of grape polyphenols, include resveratrol, which has been called "the molecule of eternal youth." This antioxidant is found in the skin of grapes and inhibits free radicals, which can extend the lifespan of cells by up to 70%. By using leftover “waste products” from the wine-making process, LAJATICA products reduce waste by using the peels, stems and seeds to create their creams and serums.